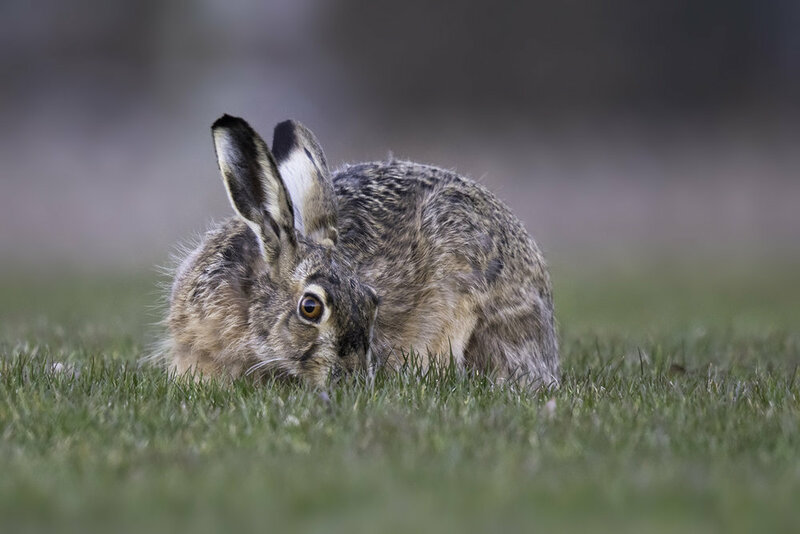 Hares is generally nocturnal and shy in nature, but they change their behaviour in the spring when they can be seen in broad daylight chasing one another around in the fields. 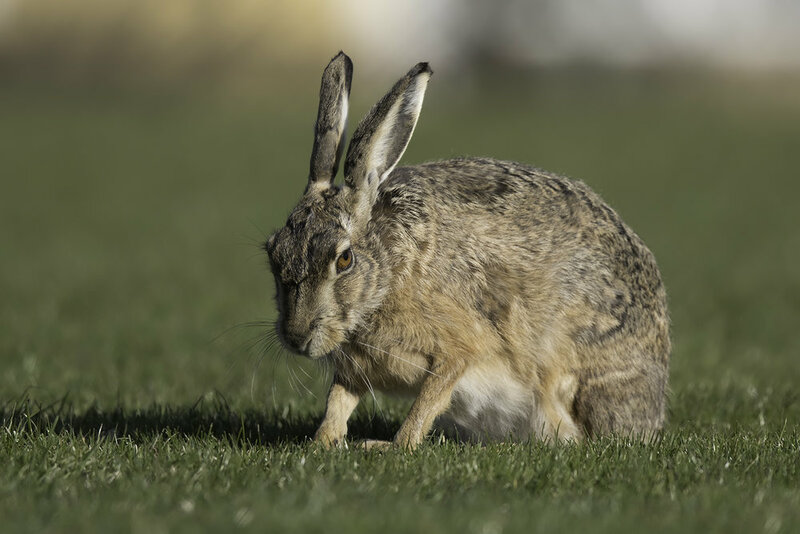 During this spring time frenzy when they have most of their focus on eatch other it's much easier to get close to them and if you lay down on the ground you can get some nice pictures. 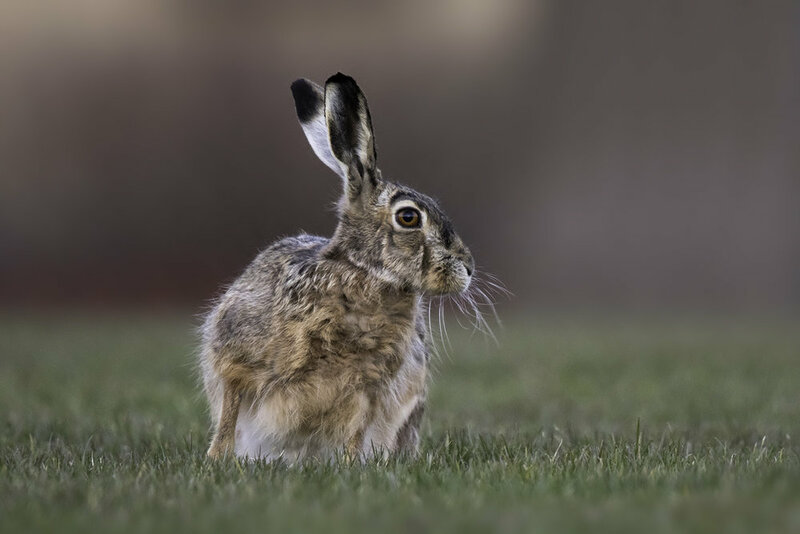 Hares have a fantastic sense of smell and acute hearing, so make sure you are down wind and keep as low as possible to minimise your outline. 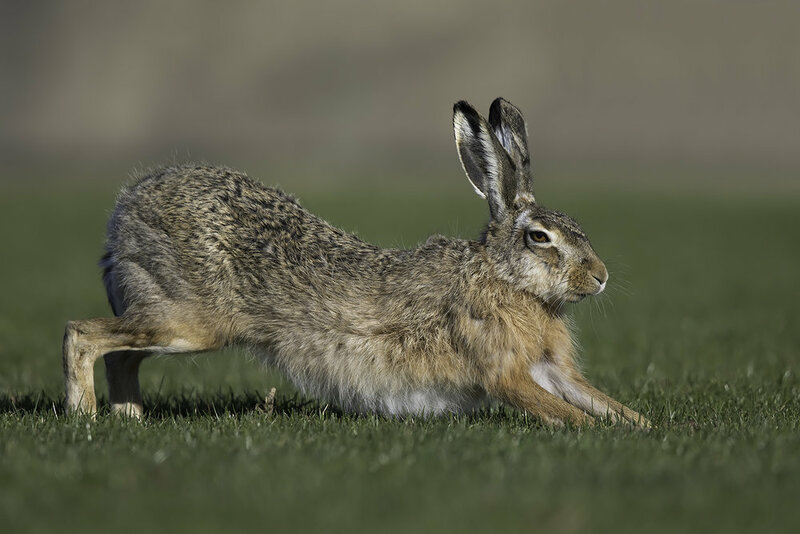 Often an army-style crawling is the most effective to get close. Another day in the hide. A visitor from the north. Sri Lanka, It’s a jungle out there. Safari in Kruger park, South africa. Early morning with the Great Grey. The white-throated dippers of Ulva.